Mexico vs Costa Rica Live Streaming: CONCACAF leaders’ match will be available on BeIN Sports Connect and Sling TV. 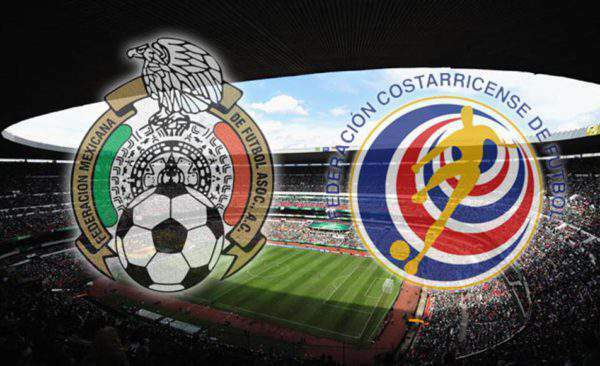 Here’s how you can watch MEX vs CRC live stream online. Channels like beIN Sports, beIN Sports En Espanol, Universo, Telemundo will broadcast the FIFA World Cup 2018 qualifiers match to television. These are the two leaders of their qualifying group. They will play against each other on September 5, Tuesday, as the match starts at 10 pm ET. It will be played at Estadio Nacional de CostaRica located in San Jose. It will be an interesting to look forward to get an idea for 2018 World Cup Russia. As of prior to this particular game, El Tri has already qualified and is ahead of Costa Rica by 3 points. Moreover, the United States and Honduras are lagging the hosts by 6 points. USA vs Honduras is also going to be an interesting match to watch. Let’s see who gets successful in booking their tickets to Russia next year. Marcos Unrena’s two goals made his team possible to register a victory over the United States by 2-0. His form has set his side in a good position for the group stage’s final matches. Seemingly, they have got the potential to get qualified for World Cup. They may get be qualified as one of the three automatic qualifiers. Moreover, star goalkeeper Keylor Navas seems to have got his form back. However, Real Madrid have just started their campaign in the premier league. With this 30-year-old, Los Ticos will have a strong defence against most of the opponents. The hosts are going to face a tough match against Mexico. El Tri is still unbeaten in group matches. Though they don’t have the best attack but their defence is superb as they got only two goals conceded in the last seven games. It may be possible that after booking their seat for Russia, Osorio may like to give his young men a chance on the field to practice in a real international match. Even if he do so, it won’t be an extreme change of things. Most eyes will also be on Hirving Lozano as he scored in his fourth match in a row for club and country against Panama. So, it is expected that the 22-year-old will continue his momentum throughout the season and as long as he can. Stay tuned to TheReporterTimes for more football updates around the world.